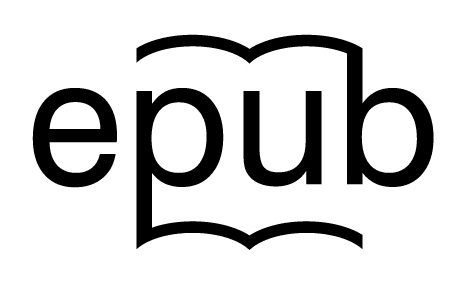 Epub was originally conceived as a universal ebook format, but as anyone can tell you that has long since stopped being true. Between each of the major ebook platforms adding their own features to the "common" Epub format and Epub3 support still being incomplete and quirky two years after it debuted, it can be difficult for an ebook maker to craft an Epub file that works well everywhere. I can't share a one size fits all tool for making ebooks, but earlier today a new validation tool which should be able to tell you why your ebook failed to pass muster at each of the major ebookstores. It's called FlightDeck, and it is being launched today by eBook Architects. This tool goes beyond existing validation tools in that it not only identifies errors in Epub and Epub3 files, but it also promises to tell you whether each retailer will accept the file. Run your ebook through the FlightDeck website and it will spit out a unique "Retailer Acceptance Grid" which will tell you whether your Epub file will be accusers whether their EPUB files will be accepted by eBook partners including Amazon, Apple, Google, B&N/Microsoft, Kobo, and Net Galley. This checklist was developed with direct input from the ebook retailers and includes the same validation checks the retailers run when you upload a file to their servers. And in addition to validation, FlightDeck also enables users to edit the title, author, and other metadata in their Epub files. FlightDeck is going to be in beta for the next couple months so that users can provide feedback and help eBook Architects make plans for future enhancements and additions. Huh? Isn’t something by the same name already available in Sigil? Oh, wait, that was FlightCrew… Anyway, thanks for the tip. Aha! I knew I had heard that name somewhere! That was it. And fwiw, it looks like a nice, and useful, tool. This “news” is a little odd. Oxygen XML editor has a built-in EPUB editor that works like a dream, and they had this feature more than a year ago. My EPUB files that passed this validation were accepted without change in Amazon and Apple. As their site says ” XML Editor is the first tool which offers support for creating, transforming and validating documents composing the EPUB package.” Seems unfair to ignore a shipped working product for over a year and get excited over some other company’s beta. I found that while looking into FlightDeck, Epubcheck, etc. That part of Oxygen is actually EpubCheck (they integrated the JAR files). Interesting that they added it but it’s not exactly new. Also, Sigil had a similar tool called FlightCrew (no relation). And the reason I never posted about Oxygen is that no one told me and it never crossed my radar (until today). I would have written something had I known. Thanks for the reply. By the way, on April 22nd, 2013 you had an article “Open Question: Does Anyone Know How to Format an eBook in Japanese?” In there, I gave a long reply saying “I used Oxygen XML Author as the editor to do this, because it supports all 3 of these and produces rock-solid valid EPUB3.” The “3” are (=(X)HTML, CSS, and EPUB3. When we integrated epubcheck for validation we also took the chance to update it to use the latest Jing for Relax NG validation as well as other fixes. While our tool helps with direct editing and fixing of EPUB files, I would advise as best practice to author in a structured format like DITA or DocBook and then just push a button to trigger a transformation that will generate an EPUB out of that, as well as other output formats. Kevin, I like oXygen XML editor too, but this validator has some interesting capabilities also. As a test I uploaded an Epub file which validates perfectly under epubcheck (with oXygen uses) and FlightCrew (not to be confused with the FlightDeck). The FlightDeck site pointed out that I had a link to several barnesandnoble.com pages in the file, which would likely cause it to be rejected if uploaded to other retailers. This particular Epub was specifically for B&N upload at author request, hence the links weren’t an issue, but I was grateful that FlightDeck pointed out the possible pitfall regardless. Considering Nate’s site isn’t a dedicated author resources site, I wouldn’t expect him to cover specific tools for coding a specific digital format very often. That he does at all sometimes is just a nice bonus. Don’t take it as a slight to oXygen’s creators. I would cover them more; this is an ebook blog so the tools are a relevant topic. But this type of news doesn’t come across my desk that much. I’ll try to send more tools news your way then. Unfortunately there aren’t many blogs that collate that sort of info, so it’s harder to keep up with than general publishing industry stuff. Hmm, the variety of reporting it does have seems pretty cool. Its easy to forget something relevant to one publisher’s quirks. P.s.- Internal links to other ebook sellers stores are generally only a problem at Apple iBooks. I have had zero issues with KDP titles with links to any other eStore titles, nor with B&N to other vendors besides B&N also. Remember many users have more than one reader device per household.